Proven processes for quality material! For the past 10 years, E.D.N. has been designing customized power supply modules and energy converters for industry sectors, medical and aesthetic sciences, professional lighting and environment. 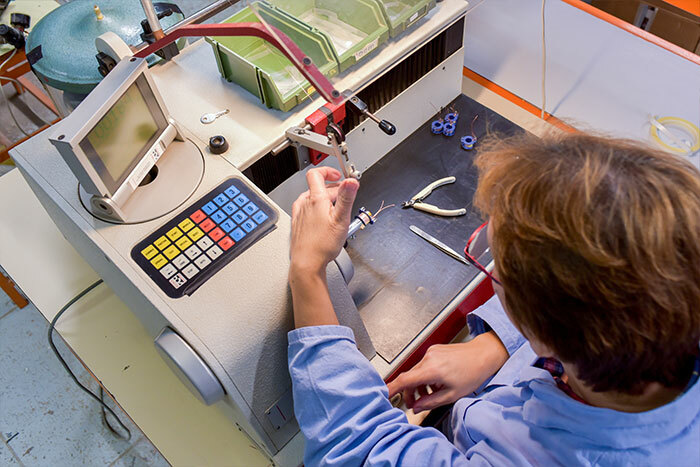 In order to best meet our customer requirements, we have developed a qualitative process ranging from co-writing specifications to production in small and medium-sized series. Whether you are a technician or have a commercial ambition, whether your specifications have already been developed or not, E.D.N. will accompany you! Our acquired knowledge allows us to get involved in your specifications analysis or conception in close collaboration with your technical teams. Once the specifications meet your expectations and are approved, we begin the research and development phase. We literally think your concept in order to preview its implementation. Our unique know-how enables us to fulfil the mechanical and electronic 3D CAD of your project as well as the embedded software programming and the qualifications. 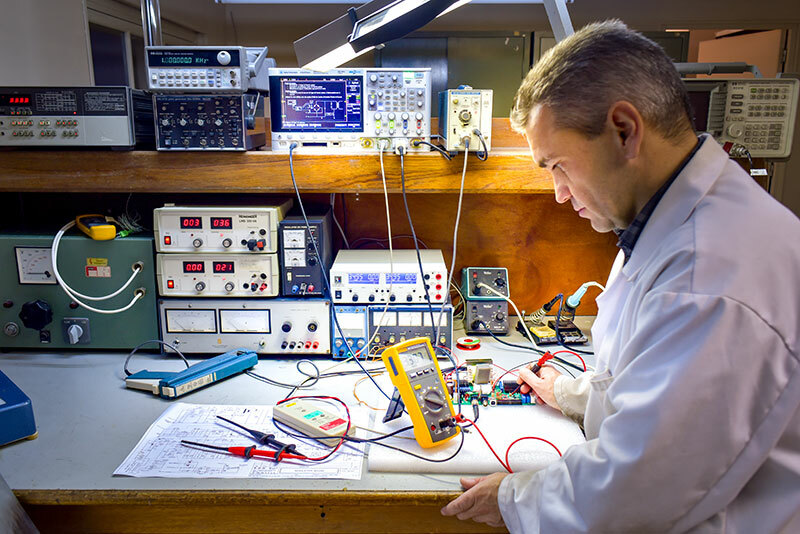 Our comprehensive Research and Development phase guarantees the quality of our products; we study and manufacture our own transformers, including vacuum encapsulation, in epoxy and silicone resins. Thanks to our second to none equipment and our skilled internal work force, we materialize your prototypes in very short timeframes. 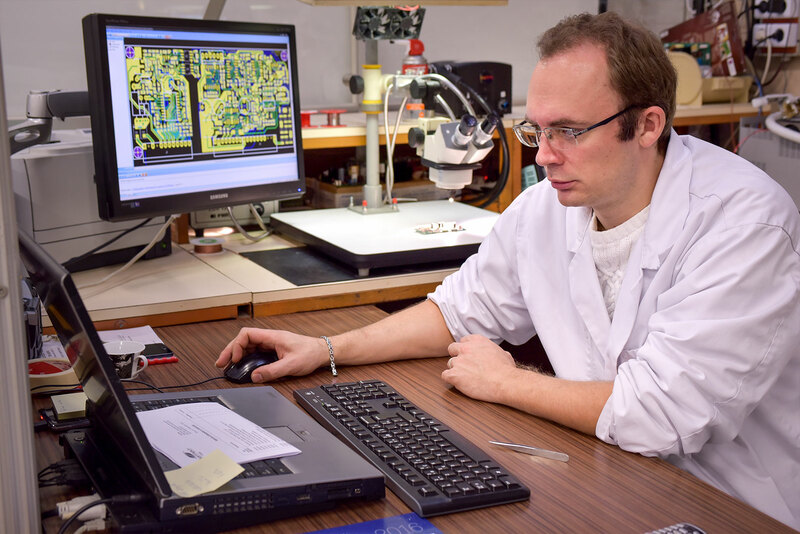 Development and qualification tests are then conducted in our own laboratory. It is during this stage that your development undergoes a pre-qualification to the standards of your industry sector (electrical safety, CEM …). We provide you with all the technical documents enabling you to manufacture your customized power modules. You are then absolutely unrestricted in the choice of partner who will carry out the production. According to your requirements and with the help of our production teams, we are skilled to assemble your products in small and medium series. E.D.N. is able to prototype and produce projects for which we previously validated specifications with you. In an effort to consistently improve production processes, E.D.N. is equipped with a genuine computer system dedicated to stock management by bar code. 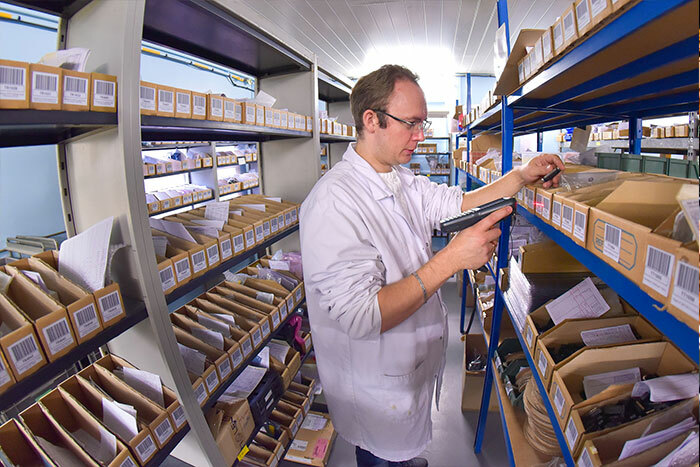 We control all the inputs and outputs of stocks; our raw materials are not only rigorously categorized by product type but also by customer project thus optimizing our production processes. This gives you the assurance of outstanding levels of quality and optimized production times. 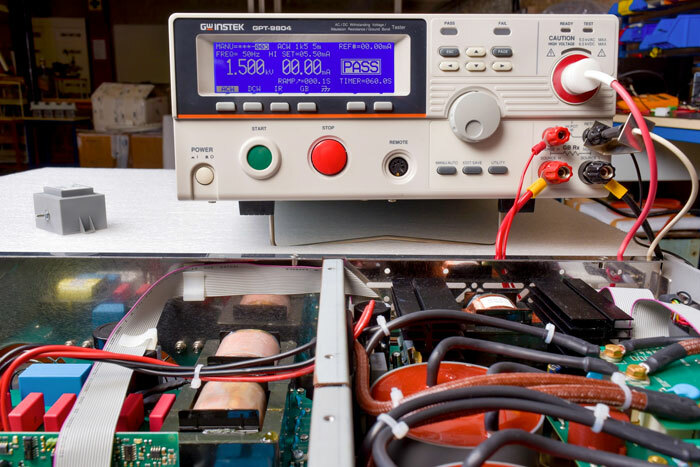 In order to prototype and produce your power supplies and converters, E.D.N. 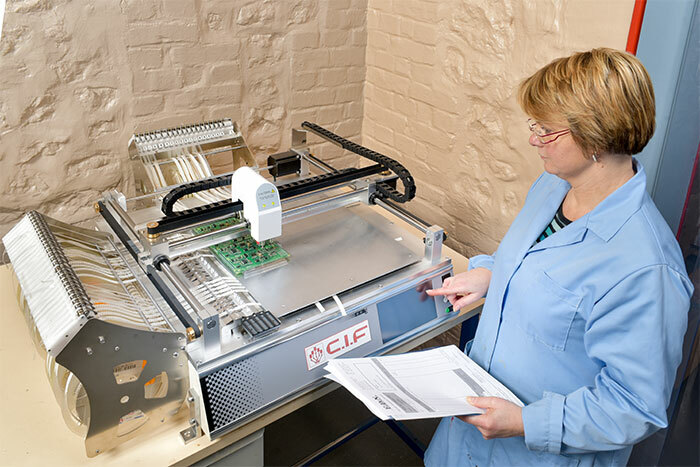 teams benefit from the use of effective and calibrated tools and equipment; further enabling the excellence in production and respected deadlines. Learn about some of our equipment below.